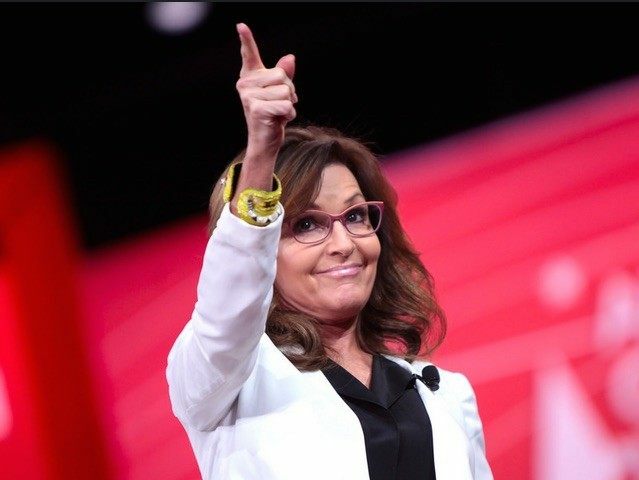 Editor’s Note: Sarah Palin posted this powerful message on her Facebook in response to Breitbart News’ exclusive story on Mark Levin’s denunciation of the establishment GOP’s shameless tactics against congressional conservatives. Once again the “Great One” Mark Levin is spot on for calling out the shameful way the House GOP leadership is targeting good conservatives like Rep. Mark Meadows (R-NC) who courageously voted against the fiasco that is Obamatrade that others want to pass before they even know what’s in it. Congressman Meadows deserves our praise, not punishment! But, like the Great One says, apparently the GOP establishment hasn’t learned the lesson of Dave Brat’s unprecedented victory over Eric Cantor last year. The conservative grassroots will no longer stomach politicians who talk the talk to get elected without walking the walk on Capitol Hill. Go ask Eric Cantor how well that worked out for him. 2016 is just around the corner, and elephants have long memories. My PAC will be supporting the brave conservatives who stood up against Obamatrade and encouraging good challengers for those who punish them for their courage.